In between a tequila tasting (or rather a blue agave tasting since it is not officially from “Tequila”) at the award winning Los Osuna and an impressive zip-line canopy tour we stopped for lunch. We were 30 minutes outside the city of Mazatlan and away from the coast. We were deep in the state of Sinaloa, Mexico. We pulled off the main road to stop at a small place. What first appeared to be a place one might avoid, a roadside cafe, actually turned into a place where most everyone finished their plate clean just like Grandma likes. Here, the “menu del dia” or the specials are the menu. It’s essentially, what they could get, what’s fresh. And with an open area kitchen in the back, we were invited to see the cooking in action. 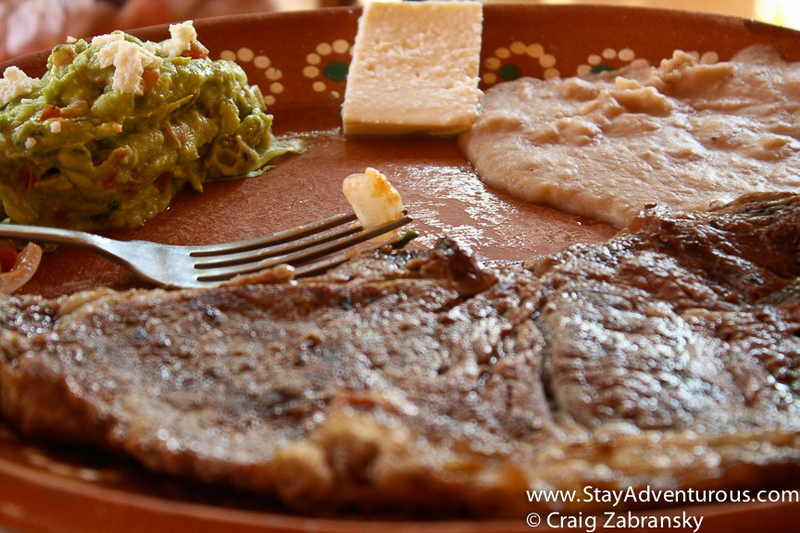 We looked upon the fresh cuts of beef, and watched the blue corn tortillas warm on the fire. Once the tortillas came off the fire, I returned to my seat. I was ready to eat. 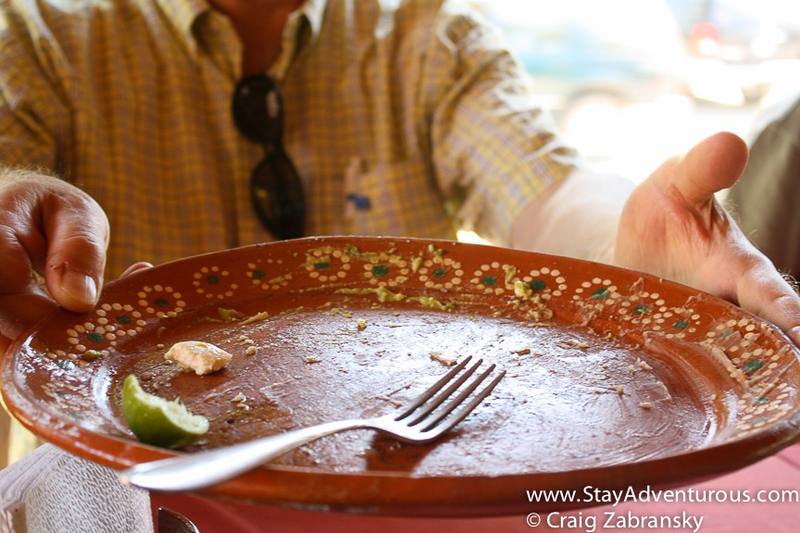 Two choices existed that afternoon – Molcajete or Carne Asada. I chose the latter. Fresh, thin beef worked perfect with some lime and those tortillas. Did I mention the fresh made blue tortillas? Delicioso! Tip: Abuela translates to Grandma. And isn’t Grandma’s cooking always delicious. 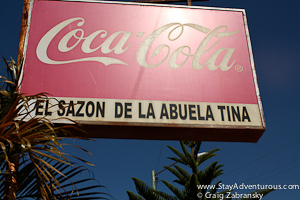 Well, it is at El Sazon de la Abuela Tina. 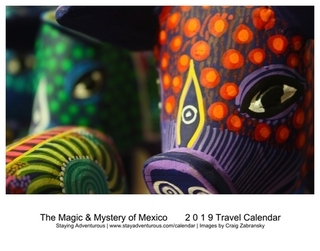 This is the second installment of the Culture Through Cuisine – Restaurant Week Series and the second of five posts on Mazatlán, Mexico. Also, a special thanks to GoMazatlan for the entire excursion. your photos are getting so good! Thanks Alisha. Your comment just made me night. 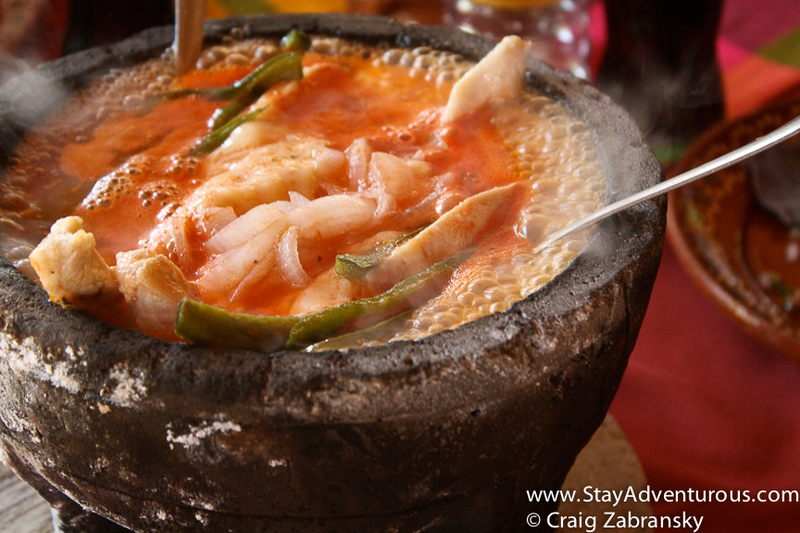 wow I’m drolling over these, especially that Molcajete. Is it spicy? beacuse the sauce looks red. Sarah, spicy….not really when compared to other Mexican dishes. But then again it is a Mexican dish.